Enhancing students learning with first hand cultural experiences! Long gone are the days when traditional classroom teaching ruled. With the interconnectedness of the world and the tools at the disposal of today’s teens the planet has never felt smaller. With that, however, comes the danger of accepting everything we read or watch online as fact, and can create inaccurate generalizations about the world. A cultural exchange plays an important role in dispelling these inaccuracies by providing real, first hand cultural experiences. This document is a guide that discusses the various aspects of the high school exchange and what to expect as a host or a visitor. The guide is written for teachers and but is also a great resource for host families, students, school boards and anyone looking for exchange program information. The guide contains information about: Costa Rica Frika and the exchange schools, Costa Rica, Goals of the Exchange, Host Families, Host Schools, and The Nitty Gritty. 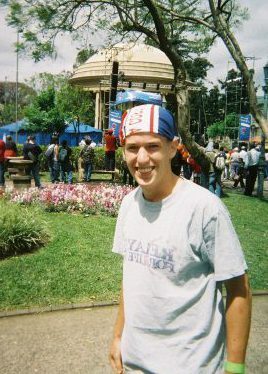 Costa Rica Frika (CRF) was formed as a result of an unforgettable Costa Rican volunteer experience by its founder, Dustin, in 2006. After 6 months living with a host family and experiencing the culture, his life long goals and plans were forever altered. The exchange opened his eyes to a different lifestyle and made him realize that there is more than one way to live a life. Had he had this experience sooner he would had done things differently in high school and definitively post high school. Needless to say, the only thing he regrets about his first cultural experience was waiting till he was 20 to do it. It took him almost a decade to get out of debt, gain experience, and fall in love with his wife before CRF became a reality. It started out as primarily an inbound volunteer placement organization, with many side hustles to pay the bills, including English teaching. When his students got over the excitement of having a Native English speaking teacher, they began to press for cultural exchange opportunities in the United States. Their persistence eventually led to an exchange to Wisconsin in January 2016 and the excitement has only grown since. 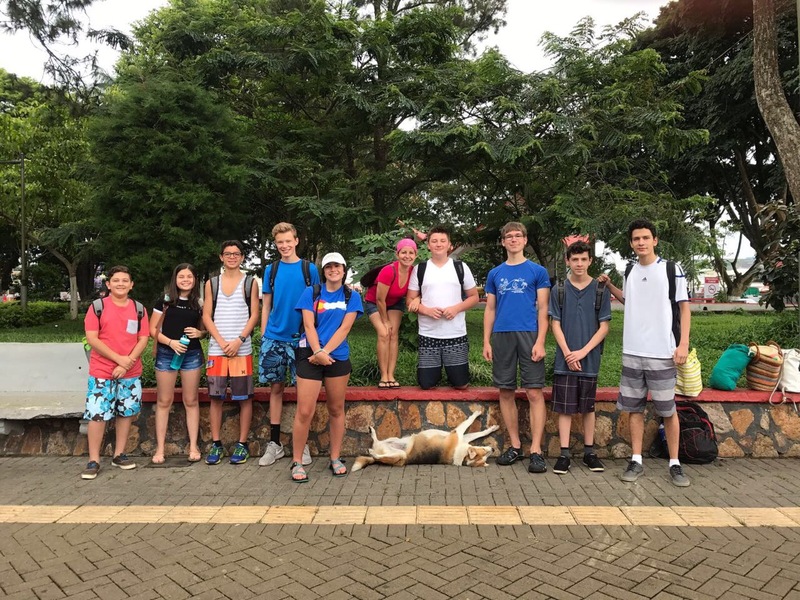 Many Costa Rican high schools desire to have an exchange, however CRF only works with schools that are dedicated to the exchange and are able to see it through its entirety, which includes both the traveling and hosting. CRF works with both public and private high schools and our participants are between the ages of 13 and 18, come from middle class families, and have a thirst to participate in exchange programs. Despite a strong middle class, Costa Rican families are not able to travel internationally very often. A lot of times international travel will be divided within the family where a mother and daughter may travel one year, and then a father and son will travel the next year. Due to this, exchanges have become an exciting alternative for families as they feel comfortable sending their children off, knowing that they will be received and cared for by a family equally interested in the exchange experience. For families that can’t travel the opportunity to host is also a great way for them to bring the cultural experience to them. Located on the land bridge between North and South America, Costa Rica sandwiches itself just to the south of Nicaragua and to the north of Panama. A country about the size of West Virginia with a population of 5 million (about half the population of Chicago) you can’t wander far without hearing their coined phrases pura vida, mae, or tuanis. Costa Rica’s claim to fame is their rainforests and tropical beaches which comprise 5% of the world’s biodiversity and are the main visitor attractions. An avid soccer nation, Costa Rican footballers are most proud of their country’s advance to the round of eight in the World Cup in Brazil. The majority of the exchange schools are located in the San Ramon and Central Valley region of Costa Rica. 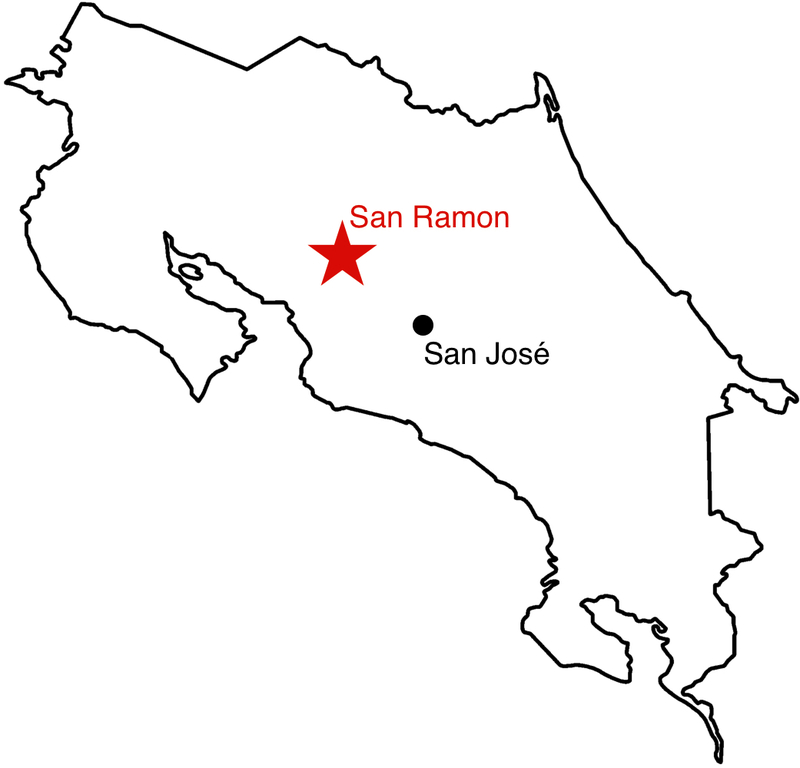 San Ramon is only about an hour northwest of San José whereas the Central Valley is the main swath of the population including San José and the surrounding suburbs. This region is primarily agricultural, known for coffee, sugar cane, corn, and beef cattle production. It also has one of the best climates on earth, with average temperature in the upper 70’s and plenty of sun year round. Culture infiltrates all aspects of the exchange, however, as an exchange goal it relates to living with families and experiencing everyday life. When the students are not at school or participating in group activities they will have the opportunity to immerse themselves in family life. An important aspect within the culture component is the opportunity for language practice and acquisition. The educational goals are achieved through activities that give students insights into the educational system or provide educational value. 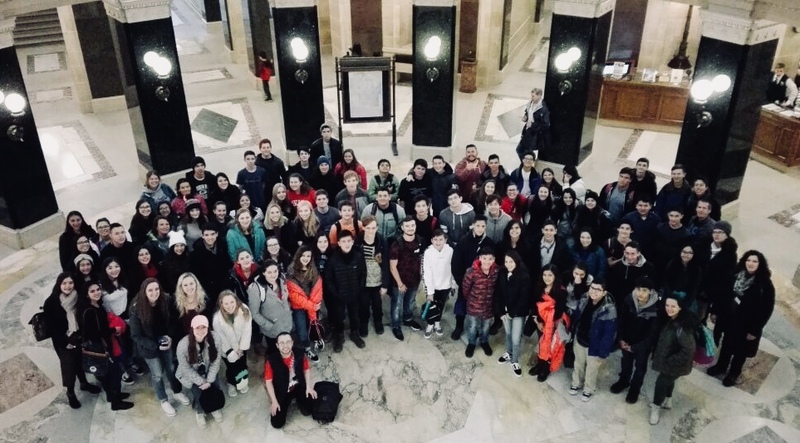 In addition to host school visits, students visit the capitol, area museums/universities, and take day trips to major cities to broaden their prospectives. In Costa Rica, examples of this would be a city tour to San José and a coffee plantation visit to learn about coffee harvesting and processing. The exchange wouldn’t be complete without recreational activities. The students visiting in winter learn to ice skate, sled and some even ice fish. 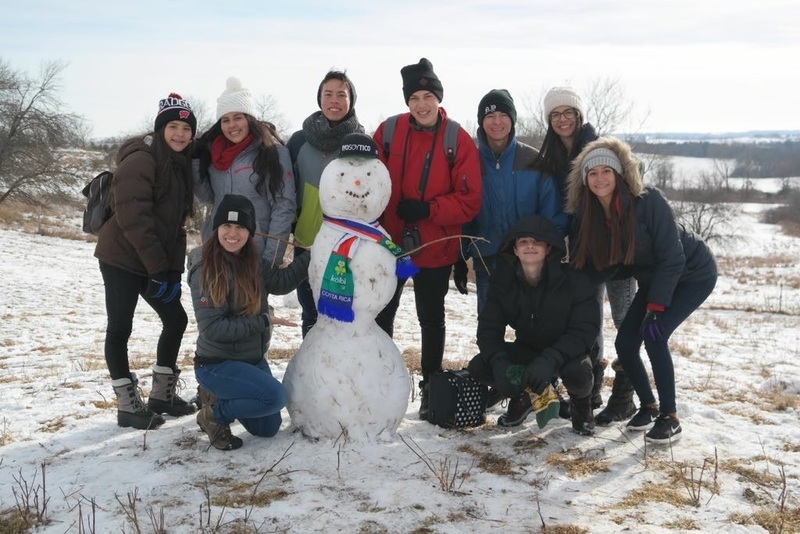 99% of the exchange students have never seen snow or experienced freezing temperatures, and for many it’s a dream come true. Tourism is Costa Rica’s number one industry with plenty of recreational activities such as beach visits, zip line canopy tours and hot springs. Host families are an integral part of the experience and is what students remember most about the exchange. For most students, it is their first time traveling internationally, and living with another family, which makes them anxious. Likewise, most families have never hosted anyone in their home from a different country, much less a teenager. Due to this, there is a lot of apprehension and nervousness from both parties. Luckily, this tends to dissipate in the first few days and the pre-trip communication also makes the transition easier. Provide room, internet access and meals. Transportation to/from school and other itinerary events as noted. Interest and desire to share own culture and learn about visitor’s culture. Host families are expected to care for and treat their student like any other family member. It is very important the student feels welcomed, however, keep in mind they will be eternally grateful for your hospitality and may offer to do little things (example: washing dishes after a meal). To enhance the experience, let them help you and use that as an opportunity to learn more about them. Families are not expected to go on lavish weekend excursions as the program activities cover many prime activities. Weekend visits to extended family members or local events would be a great way to share culture with your student. Students will have their own spending money for family day activities and souvenirs that they would like to buy. Host families are also invited to attend the weekend and night exchange activities. Please note this information applies to both US and Costa Rican host families even though it is written with US examples. Write letter to sending school inviting them to visit community on specified exchange dates (US host school only). The students need to get a visa from the US embassy and need a letter of invitation from the host school to receive it (CRF will advise on exact information needed in the letter). Match visiting students with host students and families from their school. Host visiting students at the school for 2-3 days where they can observe classes and participate in exchange activities. Activities could be sports, dance, cooking, or conversations. Students will also bring a presentation to share with students about their country and school. Facilitate communication before and during exchange between host families and exchange students. These are only minimum requirements. If the school is interested in planning more events they may do so. CRF understands and appreciates the support of the host school and therefore plans and coordinates the majority of the activities so the host school can focus on the experience. Most exchanges have most of the previously mentioned characteristics however, it is important to detail the little things that might not be so clear at first glance. The sooner students are matched and have the opportunity to communicate the better. Due to visa appointments and flight arrangements, an early start is paramount. In addition, schools are able to coordinate more pre-trip activities to promote communication and increase everyone’s comfort level prior to exchanging. 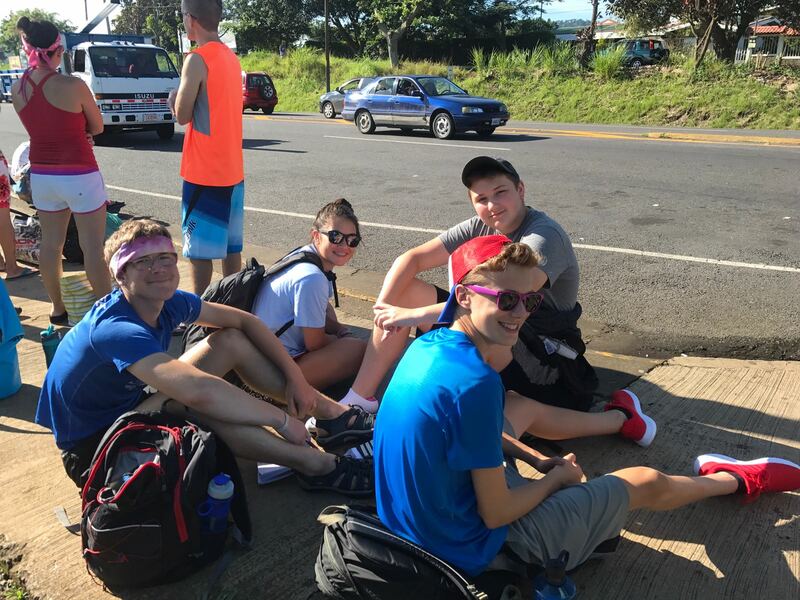 Note: Typically, Costa Rican schools travel to US first and host second. Visiting schools typically send between 10 and 20 students and 1-2 teachers. The teachers are responsible for group conduct and ensuring that the students are enjoying their experience. When issues arise the teacher chaperone communicates with the host school and CRF to determine how to best resolve the issue. Teacher chaperones are language teachers or teachers that speak fluent English/Spanish and have an extensive history with the students. Teacher chaperones prefer to be hosted by teachers or other community members and are just as excited about the exchange as the students are! 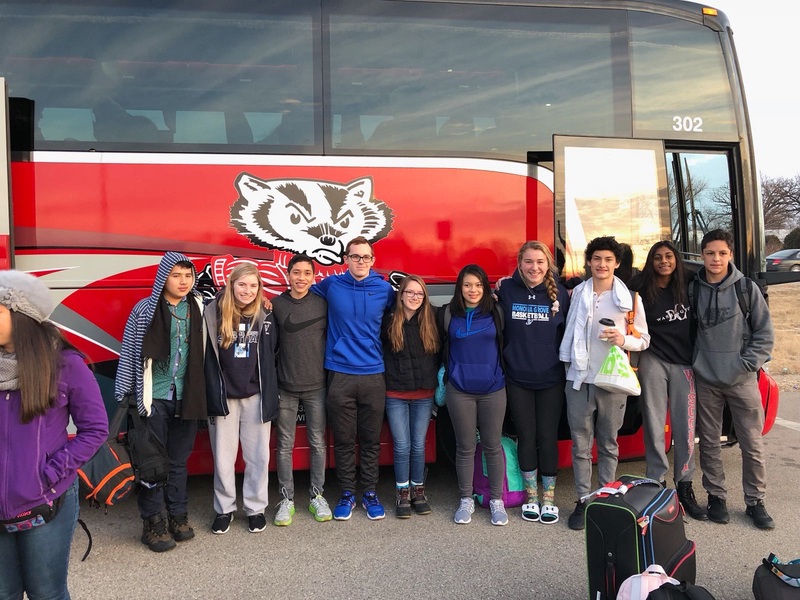 As mentioned earlier, the visiting students (and teachers) are leaving their families thousand of miles away to spend two weeks culturally immersing themselves. This is a new and evolving concept, especially for Costa Rican families who are accustomed to having their children at home until they marry and make many decisions related to their education and career based on proximity to home. Thanks to social media though, the exchange students will never have to feel a disconnect from their biological parents. Messaging services, picture sharing, and video conferences allow the parents to live the experience through their children. CRF is well aware of this and takes full advantage of this to keep everyone updated on exchange events. 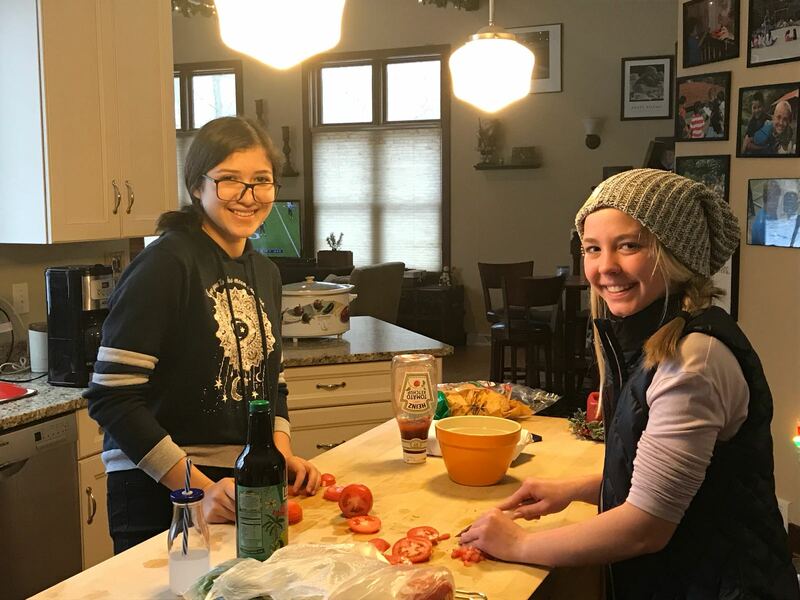 Through messaging groups and social media sites the exchange students, the biological families, and the host families are able to receive information / highlights from the daily activities. Exchange activities during the week that require transportation are organized through the local district’s bus company. Trips outside of the district’s jurisdiction are organized via charter bus companies with appropriate insurance and permits to operate in travel area. In Costa Rica tourist buses are readily available and are insured to standards set by the Costa Rica Tourism Institute. Exchange students are not permitted to drink alcohol, use illegal drugs or be disrespectful towards their host families or community members. Violation of any of these rules results in removal from the program and student is sent home. 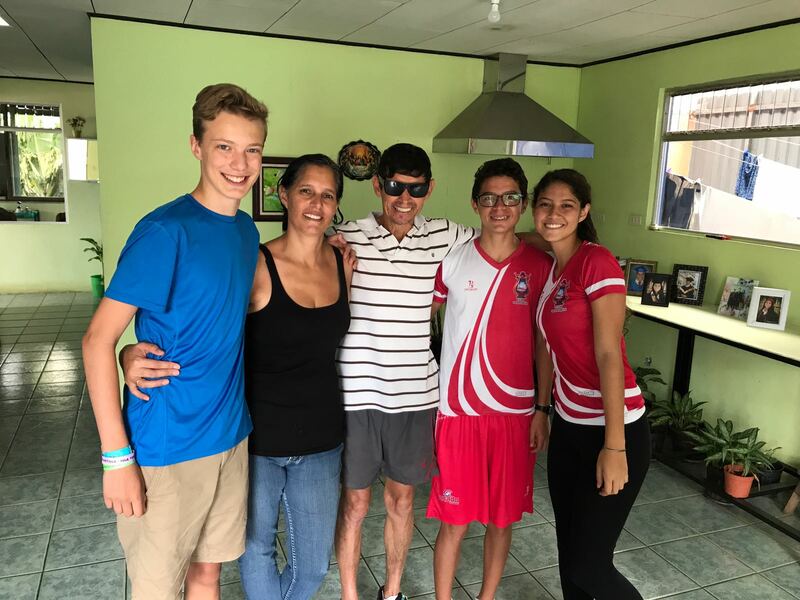 Prior to departure from Costa Rica exchange students and their parents sign an agreement making them fully aware of the consequences should they break these rules. Exchange students are required to be with a member of their host family when not at school or participating in the other exchange activities. Exceptions can be made, but students must have permission from their teacher and from their biological parents. Exchange students must participate in all organized group itinerary activities, unless illness or a certain circumstance prevents them from doing so. Winter can be conducive to many high adrenaline activities such as snowboarding, skiing, or snowmobiling. 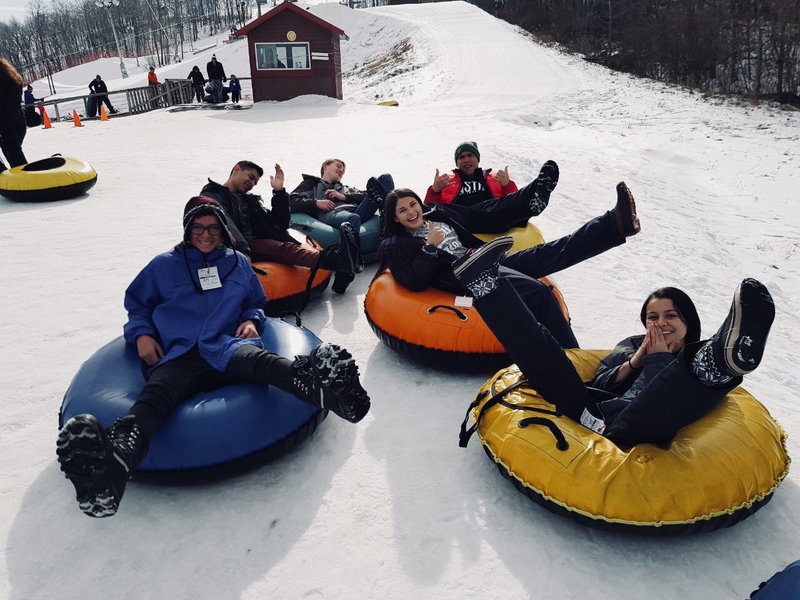 Students come fully insured against injuries resulting from these activities however, injuries have occurred in the past and can really damper a student’s experience. These activities are not prohibited, however should be exercised with caution. US exchange students are provided basic travel medical insurance. Costa Rica itinerary activities are low risk and operated under the highest safety standards. At no time are any exchange students allowed to operate any motorized vehicles. This guide is designed to give perspective participants and decision makers an overview of what entails an exchange. This guide blends both receiving and sending trips, however not all exchanges have to be reciprocal. Even if a host school is unable to reciprocate, CRF always will have a return exchange open for individuals. 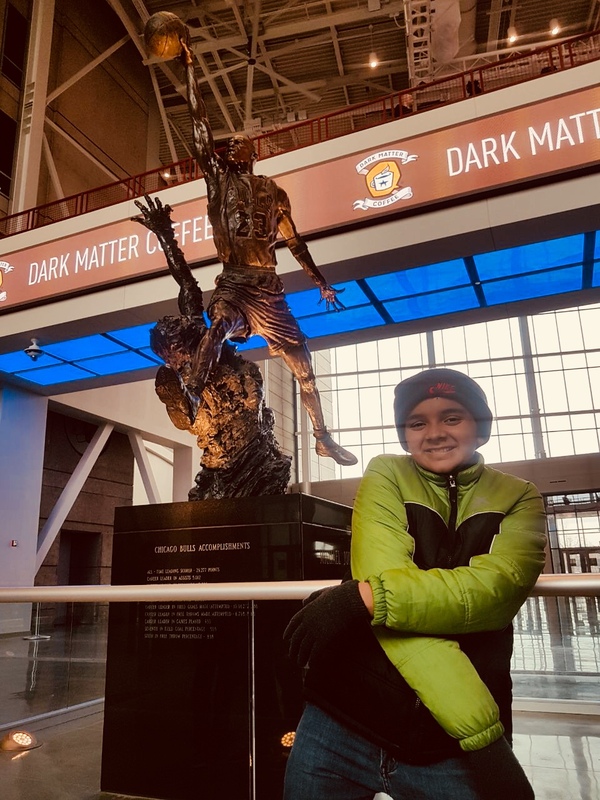 The benefits are numerous, but besides forming a friendship that spans countries, the biggest impact are the students putting themselves out of their comfort zones in a controlled environment. By having a host student and family as a guide, exchange students have the security and comfort to really focus on the experience. What’s most compelling is that everyone’s experience (including the hosts) will be different as there is no telling what might trigger a deep personal reflection, or an enlightening moment that may inspire or alter someone’s goals. A cultural exchange attracts and molds a certain kind of student. The self-confidence that it takes to put oneself in a foreign country at a young age is not for everyone. It takes a certain amount of maturity to participate and the resulting growth from the experience can be really transformative for students. A new found voice, assertiveness, or even a morphing from a follower to a leader are all possible results of an exchange. Thanks for reading the guide. We hope it has been a useful resource to learn more about the exchange! Please contact or email us (info@costaricafrika.com) if your school would like to participate in the exchange program.